TDmonthly Magazine interviewed retailers in May 2013 to find out about their most popular activity toys and play sets. Many retailers said products from Creativity for Kids were their top-sellers in the category, and the retailers overall favored hands on toys that stimulate creativity. See all of the Top-10 toys below. Kids can serve up a low-fat, high-protein meal to their teddy bears with this wooden play set. — “Wood slicing food by Melissa & Doug,” Anna Barr, owner Anna’s Toy Depot in Austin, Texas, told TDmonthly, when asked about her store’s best selling wooden toy item. — “We sell numerous sets of wooden food, like Melissa & Doug ones,” Emily Holmes, a buyer for Ambassador Toys in San Francisco, Calif., told TDmonthly. — Over 11 percent of retailers told TDmonthly in early 2008 that wooden play-food sets were selling very well in their stores. Kids can make their own volcano and then watch it erupt. The kit includes a volcano mold, fast drying plaster, paint, a stirring stick and a paintbrush. Simply add baking soda and vinegar and watch the volcano erupt with bubbling lava. Adult supervision is required. 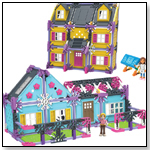 — Mary Porter Green, owner of Curiosity Zone in Ashburn, Va., told TDmonthly in a May 2013 survey that this toy is their best-selling activity kit. 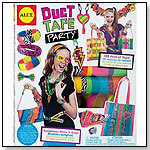 The Duct Tape Party craft kit from Alex Toys includes 108 feet of brightly colored duct tape and all the supplies and instructions needed to make jewelry, bags, headbands and more. — In a December 2012 survey about bestselling toys, four out of 12 retailers said that Duct tape kits from Alex were their bestselling Arts & Crafts toy. Kathy Mabry, owner of The Village Toy Shop in North Easton, Mass., told TDmonthly that they sell more than 36 units of Duct Tape Party each month. — In a May 2013 survey, two out of 10 retailers told TDmonthly that Alex Duct Tape products were their best-selling activity kits. Matisse's Red Studio was a breakthrough in modern art with its flood of vibrant red color and white sketch lines. The different perspectives Matisse used have been studied and debated by artists since the painting first debuted in 1911. 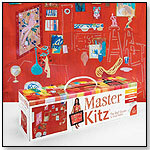 The Red Studio Master Kitz includes all the tools children need to create their own masterpiece along with learning materials to deepen their understanding of the Red Studio and its impact on modern art. Each Red Studio Mater Kitz includes: A sturdy, re-usable art tool box with magnetic closures; 1 re-usable stencil; 2 pieces of high quality art paper; 2 sticker sheets; 1 acrylic paint; 1 oil pastel; 1 foam brush; Fun, easy-to-understand Matisse learning materials; Easy-to-follow step-by-step instructions. — Rebecca Goblish, owner of Picayune Toys in Dunwoody, Ga., told TDmonthly in a May 2013 survey that Snap Circuits are one of their best-selling activity kits.